An investment group, which was founded in 1984 and is still active. 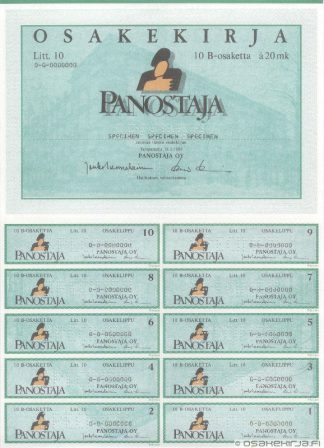 Panostaja’s strategy is to invest in industrial small or medium-sized business companies and improve their business as a majority owner. Target is, that after 5-10 years of steering those companies would reach leading position among their business sector, and the companies are ready to continue by themselves. 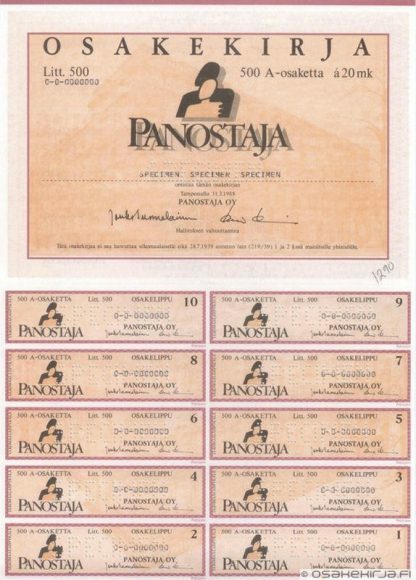 The share of Panostaja has been listed in the Helsinki Stock Exchange since 1989. 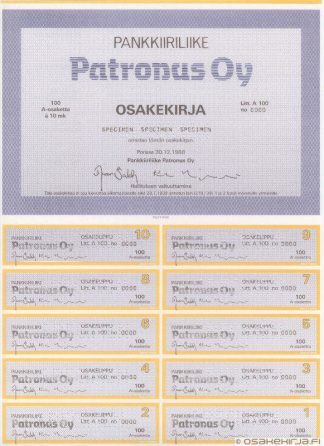 Nature of business: Investment, business development. 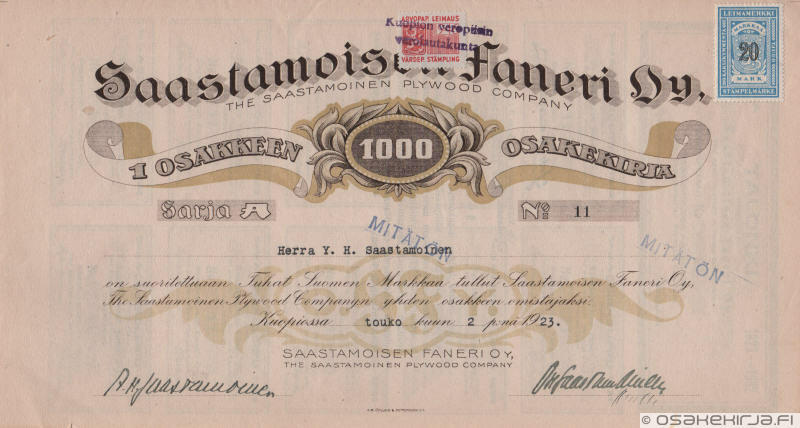 Matti-Ovi, Suomen Viestintäkehitys, Alfa-Kem, KL-Varaosat, Heatmasters Group, Lämpö-Tukku, Lukko-Expert Security, Suomen Kiinnikekeskus, Suomen Helakeskus, Kopijyvä, Ecosir, Kospa, Suomen Helasto, Takoma, Suomen Graafiset Palvelut, Domus Print, Selog, DMP Digital Media Partners, Flexim Security, Vindea, Ecosir Group.